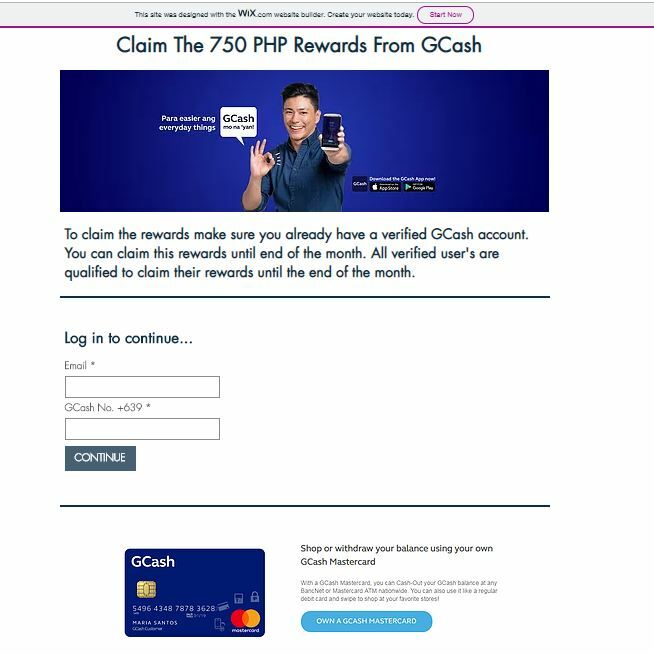 A fake GCash website has been put up to lure users in availing a P750 reward. 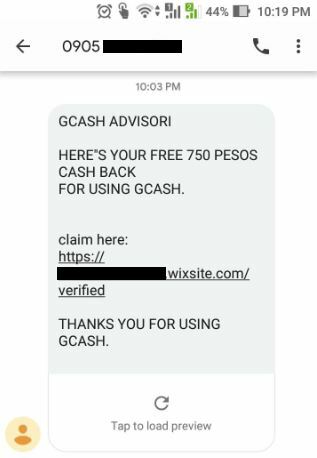 Using Wix, a free, cloud-based web development platform that allows anyone to create their own website, the fake GCash website is being sent to various Globe users to entice them to claim their rewards. Janet Sentorias, a GCash user, shared the screenshot of a text message she received from an unknown Globe prepaid number. It contains the link to the GCash phishing site built via Wix. The link was too obvious for anyone not to notice but for someone not familiar with Wix, they might get tempted to enter the site. The GCash phishing site asks for an email address and a GCash mobile number. According to the instruction, users need to ensure that they are verified GCash subscribers to be entitled to the bogus reward. Unofficial SMS sender. The message was sent from a Globe prepaid number. GCash or any other legitimate companies usually use a 4-digit number to broadcast their advisories. Grammar. Official advisories or statements from companies are being reviewed thoroughly. Both the SMS alert and the phishing site contain too many mistakes. Sense of Urgency. One of the reasons why phishing campaigns are successful is its ability to trick humans. As cliche as it is, we are the weakness in the system. This phishing site, for instance, is urging recipients to claim their rewards until the end of the month. Should you receive similar attacks, report it immediately to GCash and Globe so they could take appropriate actions against the cybercriminal. Sentorias and some other GCash users tried to trace the identity of the culprit behind the mobile number used in this scheme. They were able to do so by sending a GCash amount to the number. For fairness, we reserved the right not to publish the identified person until an official investigation commence. 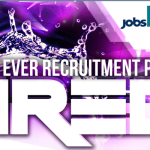 We have requested to have the site blocked in some known security vendors. 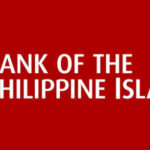 We will also have this reported to GCash and their data protection officer as a heads up. February 1, 2019 – We reported this incident to GCash’s DPO and got a confirmation that they are already working on it. 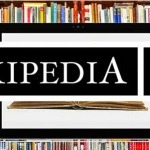 February 2, 2019 – Wix contacted us to formally file a request to take down the link. We did so. 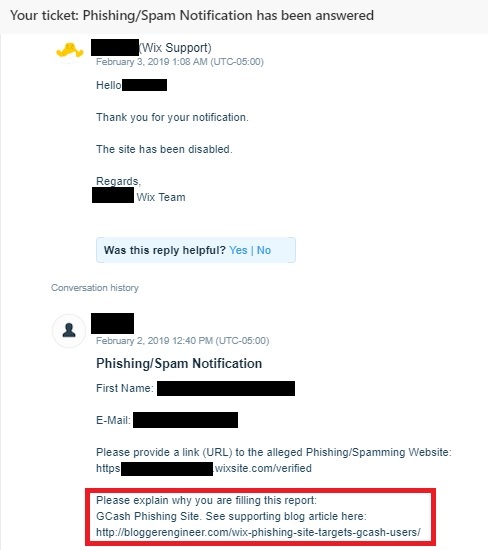 February 3, 2019 – Wix took down the GCash phishing link. GCash also confirmed that they already disabled the account of the scammer and that they will also send an advisory for security awareness.